Life’s an amazing paradox. When you fill yourself you feel an eerie emptiness. And when you empty yourself you feel a joyful fullness! Think about your Life deeply. What are you filling it with? 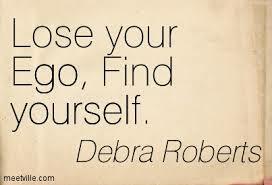 The more you fill yourself with fear, guilt, grief, ego, anxiety, greed and desires, the more empty you feel. You can’t just escape the emptiness. You may call it by any name: mid-life crisis, not enjoying your job, unhappy with your partner, feel lost with how to raise your children, whatever. But you do feel empty. The irony, however, is that to rid yourself of this emptiness, all you need to do is to empty yourself. When you empty yourself of all wasteful emotions, like those listed above, or many more, you are emptying yourself of your self. This is when you are enriched, filled with love and are full of peace. This fullness is what is called bliss. Emptying yourself of your self means to get rid of the ‘I’! To me that moment, that nano-second, was the ‘CTRL+ALT+DEL’ moment of my Life. With that enlightening perspective, Deepak opened my eyes, helping me see clearly, why there was so much emptiness in my Life. Osho’s masterly perspective on this too helped me immensely: “Emptying oneself means emptying of all content – just as you empty a room of all the junk that has gathered there, over the years. When you have emptied the room of all the furniture and all the things, you have not destroyed the room, not at all; you have given it more roominess, more space. When all the furniture is gone, the room asserts itself, the room is.” What’s interesting is, as I discovered, when the ‘I’ goes out of you, all the parasites that thrive on it, off it__fear, guilt, grief, anxiety, greed and desires__run after it too. The feeling you get with emptying yourself, and therefore filling your Life with abundance and bliss, is truly liberating. It has to be experienced to be understood. It has to be lived! I have found the CTRL+ALT+DEL method particularly inspiring. This is what we have all learned to do with our computers when programs running on them ‘hang’. We decided to use it on our Firm, when our business turned “unresponsive” some years ago. It was bleeding losses quarter-on-quarter and guzzling cash in the form of debt. That’s when we embarked on a strategy that we called ‘CTRL+ALT+DEL’. We closed 6 offices, painfully let go of 38 clients and as many team members. We basically bombed our Firm and ‘rebooted’ it! Sometimes, Life requires a ‘forced’ pause, especially when it doesn’t seem to be heading anywhere, and possibly, a reboot. So CTRL+ALT+DEL in a Life context means that you review and revalidate every premise that you have been holding as true. Remember: Life is not to be endured or suffered. It has to be enjoyed. Allow no one and nothing to come between you and your enjoying Life! Be obsessed with your happiness. And if you like, be selfish! Because from your inner core of happiness, is born your ability to serve, to be selfless and to make a difference in this world. 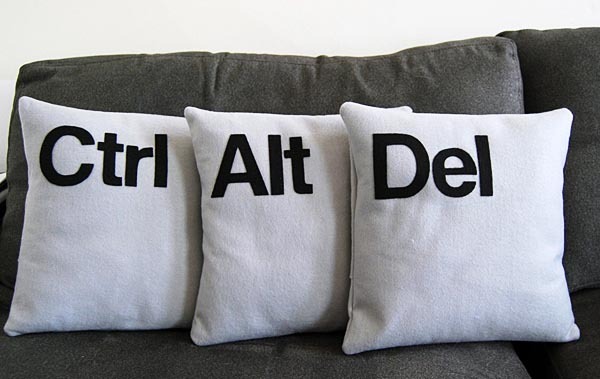 And in case you are struggling with a listless Life just now, when nothing seems to be working, try rebooting it with the CTRL+ALT+DEL method. It works!